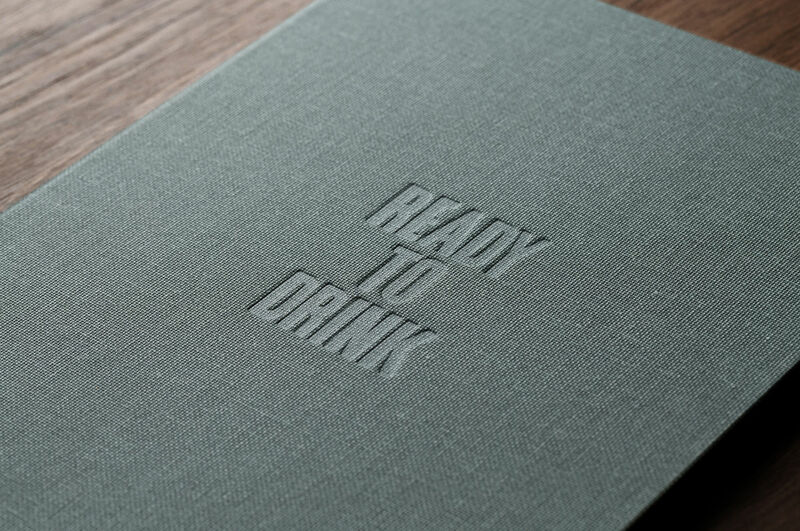 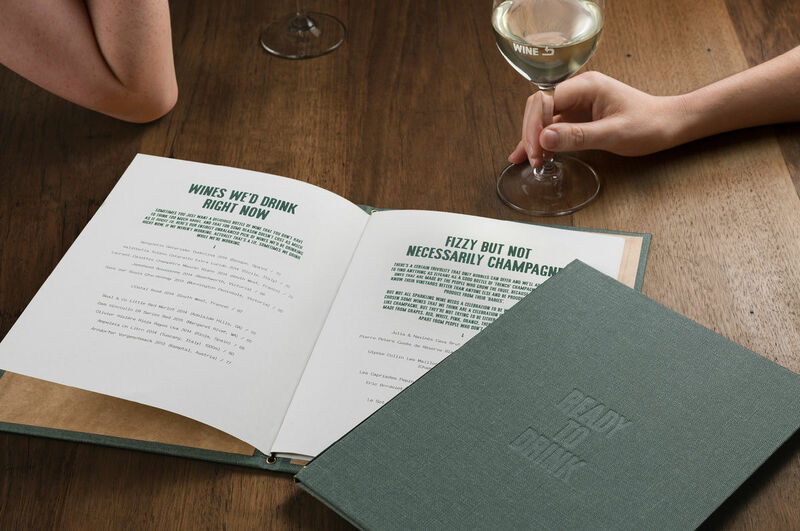 Keeping a keen eye on its surrounds, A Friend of Mine have lovingly crafted a honest and raw identity which draws on its surrounding history. 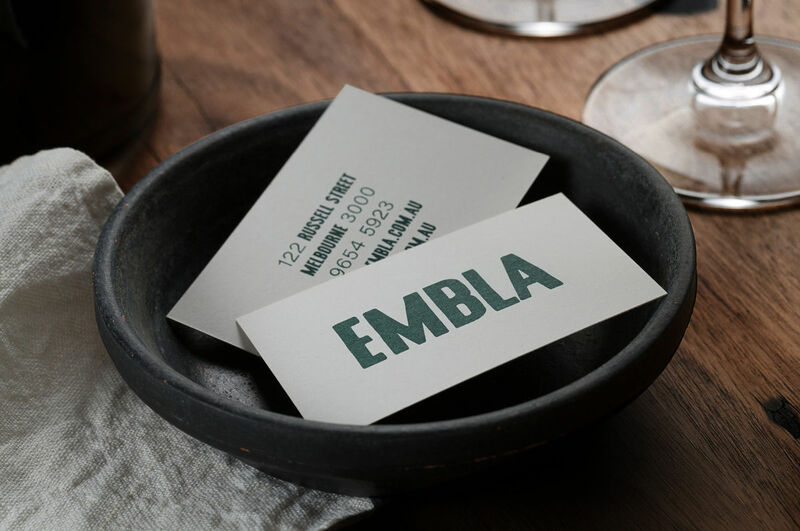 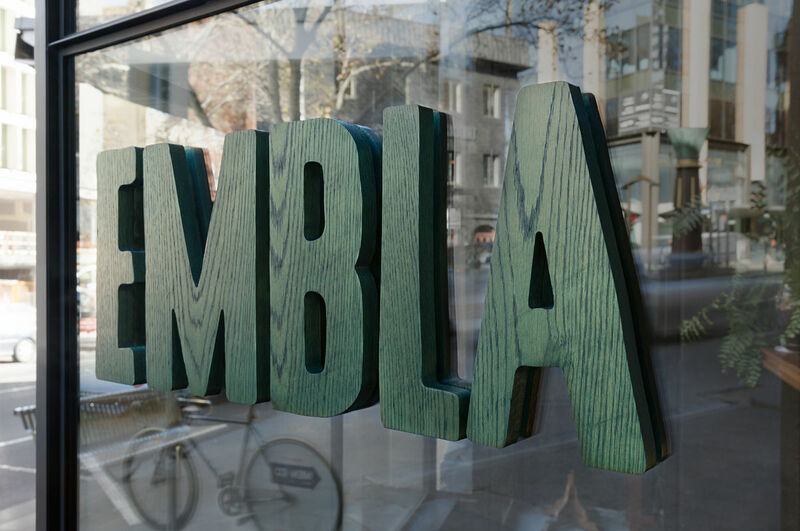 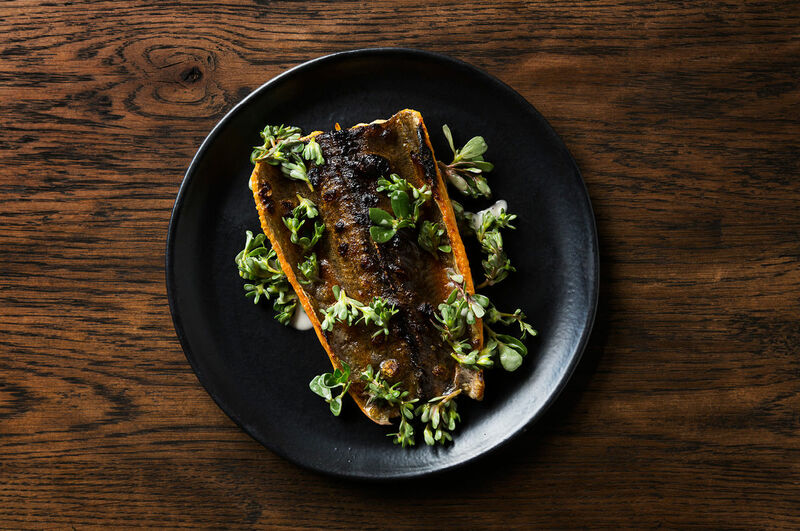 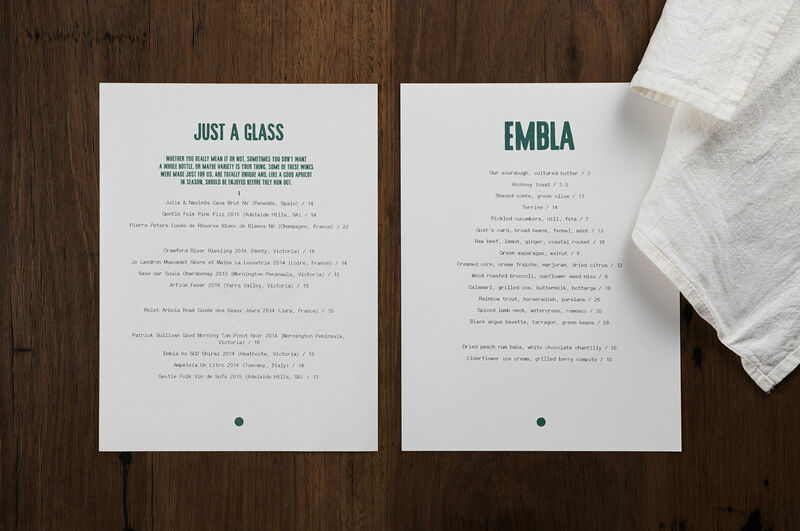 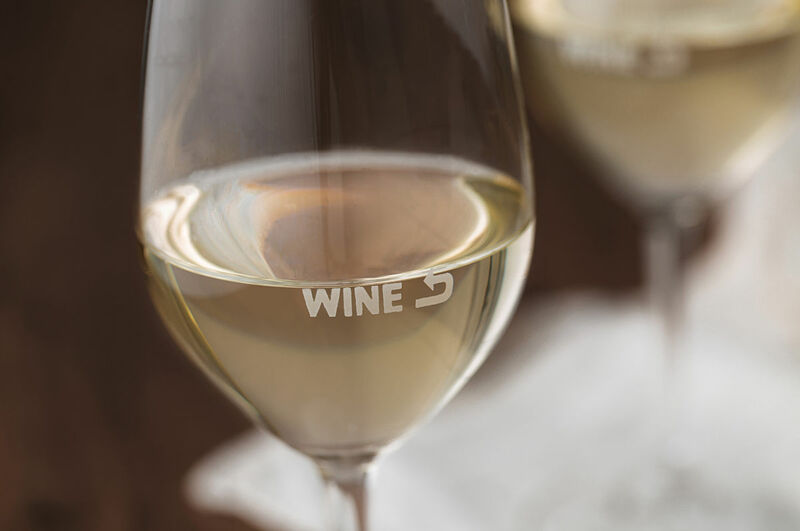 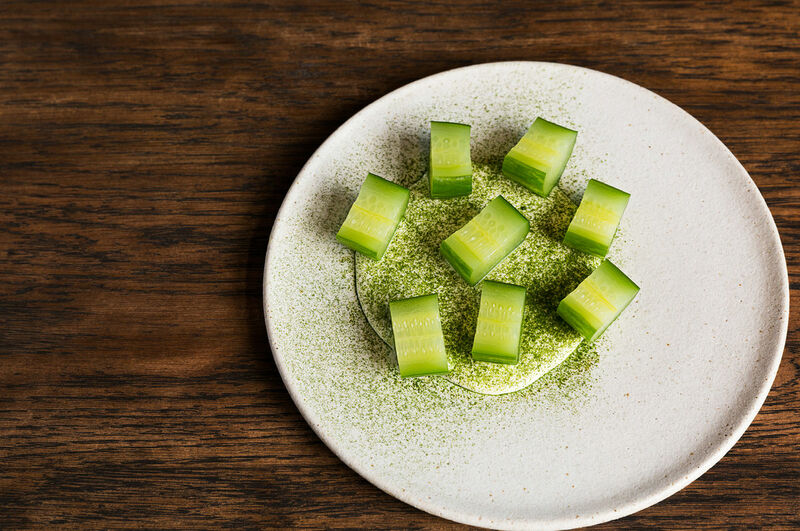 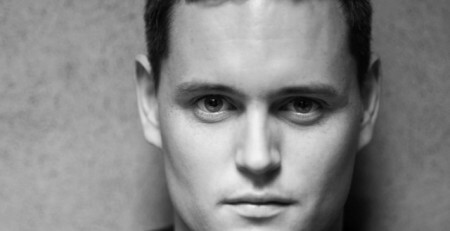 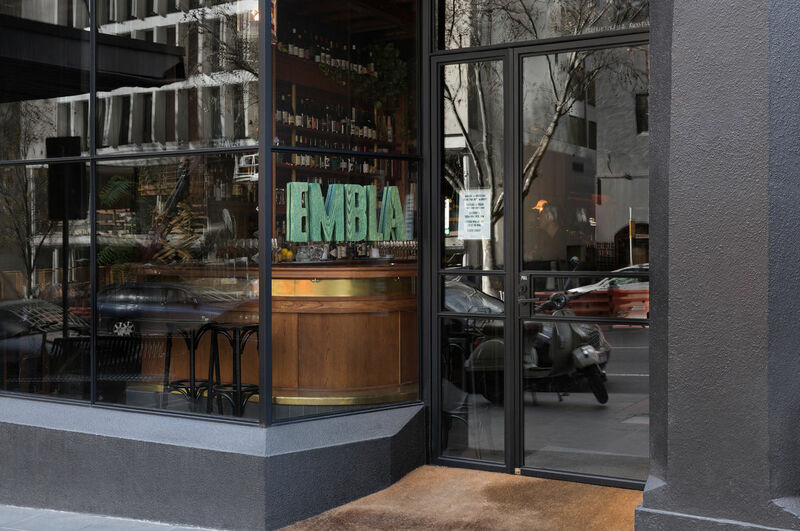 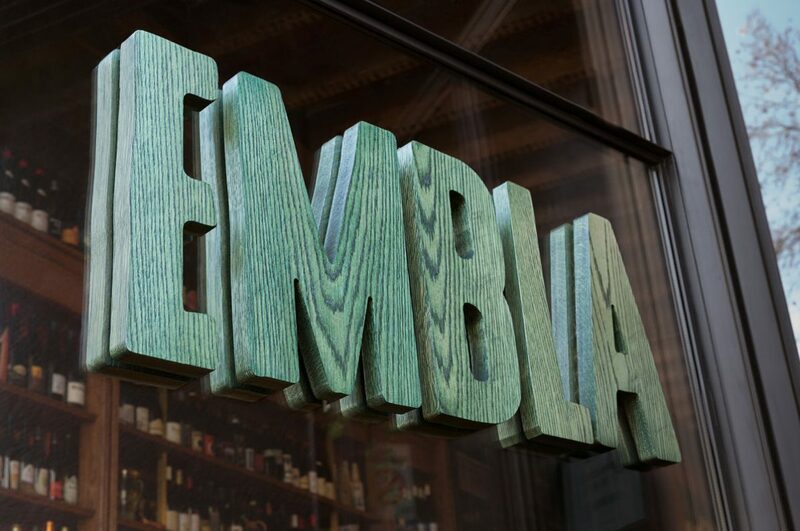 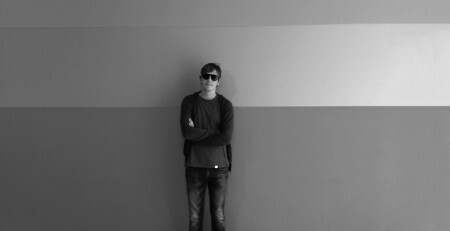 Embla is Christian McCabe’s (of The Town Mouse) new low-key wine bar / restaurant based in Melbourne’s inner city. 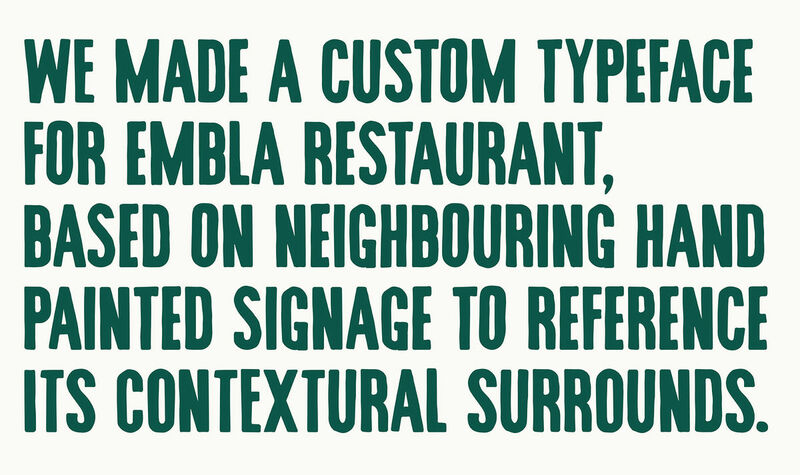 A Friend of Mine crafted a down-to-earth brand identity, centred around a custom typeface based on neighbouring hand painted vintage signage to reference it’s contextual surrounds, alongside a textured torn paper collage to soften digital elements. 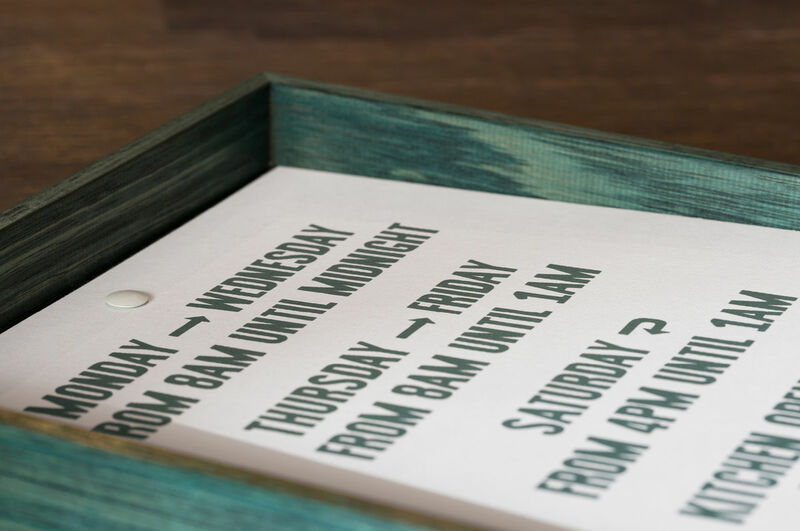 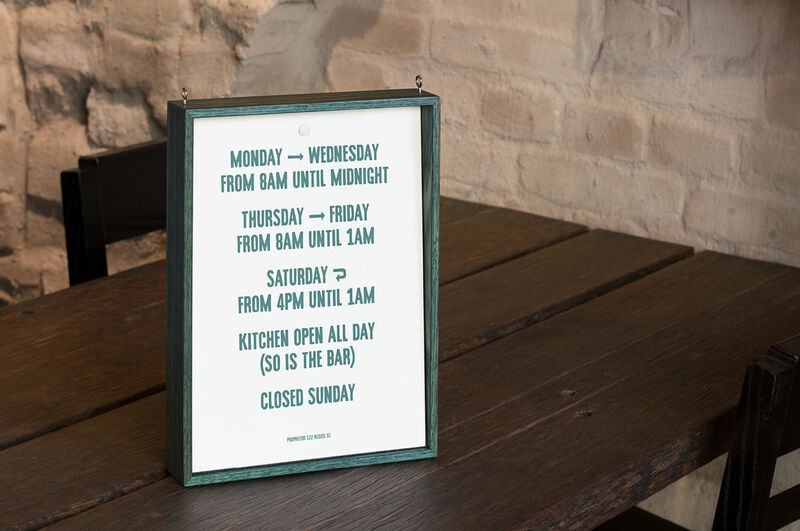 The loosely drawn lettering and stained timber signage ooze in organic and handmade routes, reflecting the offering and bar itself.